Ottawa, Ontario, April 28, 2008 – In 2007, the Royal Canadian Mint recorded an unprecedented profit of $30.7 million, almost double the previous year’s figure. Throughout the year, it also leveraged its innovation advantage, strengthened strategic partnerships and positioned itself for future growth in the global marketplace. “The past year was one of remarkable accomplishment for the Mint, and this success can be attributed to the dedication and commitment of each and every employee of the Corporation,” said Ian E. Bennett, President and CEO of the Royal Canadian Mint. The ranking among Canada’s top 100 employers (Maclean’s Magazine) and the country’s top 10 family-friendly employers (Today’s Parent), for the second consecutive year. As the Royal Canadian Mint enters its second century of operations, it will evolve to meet customer needs and the demands of an ever-changing global marketplace. Increased commitment to R&D and the development of new partnerships and innovations will ensure its profitability and ongoing relevance as an enterprising Canadian corporation, both at home and abroad. 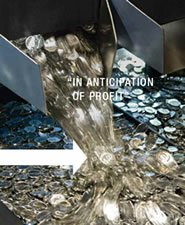 To read more from the Mint’s 2007 Annual Report, entitled "In Anticipation of Profit", click here. Editor’s note: The following includes only the CEO and Chairman message portions of the Royal Canadian Mint’s report. For the entire 2007 annual report in PDF format, view the Mint’s page, Annual Report to Parliament. The legislation which establishes the Royal Canadian Mint is clear; we are to operate “in anticipation of profit.” These are words that affect all that we do. It’s been a record year for the Royal Canadian Mint: for the year ended December 31, we recorded a pre-tax profit of 30.7 million, almost double last year’s figure. Our success in 2007 can be partially attributed to the worldwide appeal of our patented multi-ply plated steel (MPPS) technology. As the world economy grows and the price of metals continues to rise, demand for this cost-effective alternative to traditional plating methods is increasing, particularly in Asian, African and Middle Eastern countries. For this reason, we are focused on carefully expanding our operations to support the manufacturing demands of both our foreign and domestic businesses; identifying partnership opportunities that will allow us to extend our geographic reach; and adopting creative approaches to fulfilling our contracts that allow us to realize important efficiencies. At the same time, we remain committed to fulfilling our core mandate of producing circulation coinage for Canada, and will continue to apply our inventiveness in that realm as well. The success of our coin recycling initiative is notable in that regard. With the support of Canadians, we were able to draw back into circulation 684 million pieces, reducing the requirements for production of new coins. Our alloy recovery program (ARP) was a major contributor to the bottom line in 2007, allowing us to recover base metals from coins produced prior to the introduction of plated coins in Canada in 2000. Our enterprise resource planning (ERP) system went live in June and is providing a strong foundation for further integration of our processes—finance, order processing, manufacturing, procurement and others. Sales of our Silver Maple Leaf were at record levels in 2007. We expect sustained revenues in that area for the coming year as customers turn to silver as an affordable option to gold bullion. Our silver refinery became fully operational last year and we expect it will create new opportunities for us. Going forward, we will endeavour to use our profits wisely—to continue to reinvest in our infrastructure by modernizing our capital equipment and to invest in our people as well, because each employee at the Royal Canadian Mint has an important role to play in our future. 2008 will be an important year for our Olympic program as we roll out further products in the lead-up to the 2010 Games in Vancouver and celebrate the 400th anniversary of the founding of Quebec City. It will also mark the Mint’s centennial. This represents an important milestone, one that allows us to take pause, acknowledge our success and place within the Canadian cultural and economic contexts, and look with optimism at the opportunities ahead in the global marketplace. In closing, I want to acknowledge the winner of the 2007 President’s Award, Roy Yogasingham, Director of Quality Systems in Ottawa. Roy played a key role in building stronger relationships with key foreign customers and has steadfastly assisted the Mint in maintaining its vision as a world-class brand. Message from the Royal Canadian Mint Chairman, Max C. Lewis. Keeping stride with the Mint’s organizational growth and the expansion of its foreign business, the Board of Directors continued to refine the Corporation’s governance structure and practices in 2007. Individual Director evaluations were completed to help us improve our individual and collective performance. Through this process, we identified opportunities to strengthen the Board, Board processes, and the relationship between the Board and management, and have implemented several action items as a result. For example, we developed specific Board training and education sessions to improve members’ knowledge and understanding of the business of the Mint. We also included a session on the benefits of an effective Board-management relationship as part of our strategic planning process. The Board made structural improvements last year with respect to its strategic planning responsibility. We formed a Strategic Planning Steering Committee to ensure the Corporation’s strategic planning process is carried out as effectively as possible, with clear and measurable objectives. The Committee is also tasked with overseeing the development of an annual business plan aligned with the Mint’s five-year corporate plan. At the same time, we dissolved the Strategic Planning Committee, returning direct responsibility for oversight of major strategic initiatives to the Board itself. With the Olympics program and other key projects underway, the involvement and participation of the entire Board will be important. rejoined the organization later in the year as our new Chief Financial Officer. We welcomed three new directors: Kirk MacRae, President of R.K.M. Investments; Claude Bennett, former Member of the Provincial Parliament of Ontario (1971-1987); and Carman Joynt, former Audit Partner with Deloitte & Touche Chartered Accountants. These members bring unique expertise and a new balance of experience to our seasoned Board. Sad news reached us in the fall that Gerard Connolly, a Mint Board member from 1988 to 1998, had passed away. This followed the passing, in late 2006, of former Board member (1995-2003) Paul H. Bilodeau. Both Gerry and Paul will be fondly remembered by their former colleagues on the Board and management team. As we look to 2008 and beyond, we are enthusiastic about the opportunities for our business. We have embarked on a comprehensive Olympic circulation and numismatic program that will roll out over the next few years, culminating with the Games themselves in Vancouver in 2010. At the same time, demand for our multi-ply plated steel technology and other innovations is high, driving our foreign business. We intend to pursue international opportunities fully—while remaining aware of reputational risk. The business culture differs greatly from country to country. We must engage accordingly and never lose sight of the critical importance of sustaining quality service and delivering a quality product. We must also pay careful attention to our manufacturing infrastructure to ensure optimal output and the safe, reliable operation of our production lines, as the health and safety of our employees remains paramount. Major changes lie ahead for our industry, we know. While capitalizing on current and emerging opportunities today, it is critical that we develop longer-term plans now to evolve our business in line with customer needs and apace with functional adjustments to the Canadian currency system. Our increased commitment to R&D is evidence of that long-term view; by investing today in our next great innovations, we will be able to ensure the profitability, longevity and ongoing relevance of the Mint as an enterprising Canadian corporation and a national cultural institution.